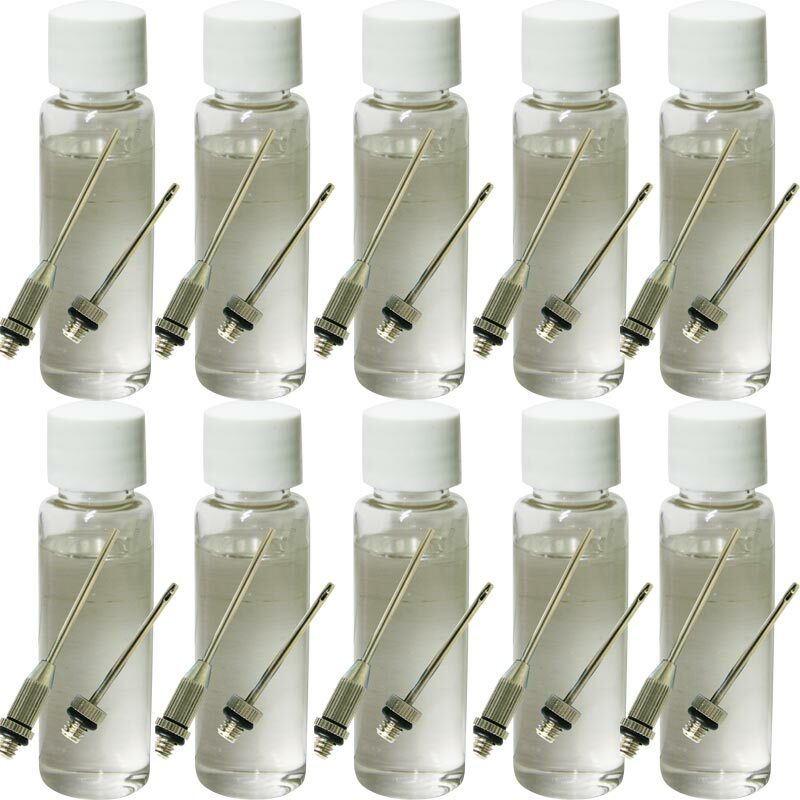 Mitre ® Glycerine & Needles Sets Pack of 10 - this glycerine has been designed for use when inflating balls (handballs, footballs, netballs, rugby balls etc) using a small amount to dampen the inside of the valve assisting valve integrity. Glycerine is used to stop the valve from drying out and to aid the insertion of the needles. Includes 2 x 5mm thread needles. The Items I purchased suit my purposes very well indeed. They meet my expectations as the Products are from a Reputable Manufacturer. They will last me a long time and I will be happy to purchase to purchase This Brand Type in the future.